Simple architectural details that add immeasurable interest! 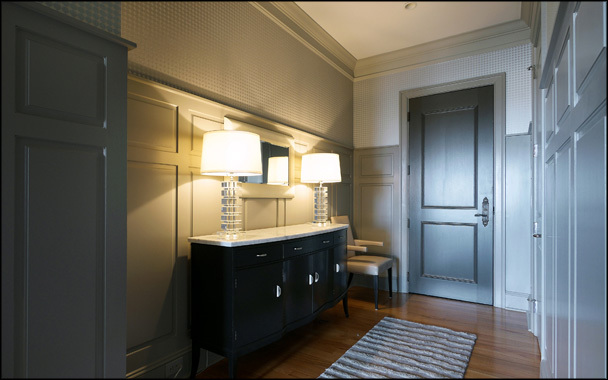 You can add dramatic interest to your walls with custom wainscoting or paneling from Impact Design Resources. We can create for you either product – comprised of relatively simple details – that will transform a plain wall into one of architectural interest. And we can help you determine which product and style is suitable for you. The quality of our manufacturing provides beautiful profiles with crisp corners, minimal joints that are nearly invisible, and makes installation a breeze. We offer a variety of heights and patterns and can even create a new pattern just for you! We can help you add IMPACT to your home – schedule a FREE, NO-OBLIGATION consultation today!